The first day of the ‘Decoding the Digital’ conference (Victoria and Albert Museum, London 4-5 February 2010) conference was ground-breaking, writes Liz Farrelly, welcoming a new V&A collection, and pointing up areas of art and design history that still need writing. Top: Frieder Nake, Walk-through-Raster, series 2, 1-4, C-type print, Germany, 1966. © artist. Photo: V&A Images. Much scholarship was evident. Charlie Gere (Chair of Computers and the History of Art at Lancaster University) opened the discussion by tracing aesthetic, methodological and philosophical roots back to Descartes and William Morris, adding that perhaps the complexities of Medieval art and its reincarnation in the Arts and Crafts Movement are where we could look for the genesis of computer art, not the avant-garde schools of the twentieth century. Frieder Nake (an early practitioner and Professor of Interactive Computer Graphics at the University of Bremen) provided the conference with its best sound bites, calling for a new methodology to chart the ‘archaeology of digital art’, because we can’t ‘dig it up’. He ran through exhibitions and publications that established the genre, from the 1950s onwards, pinpointing the ICA’s ‘Cybernetics Serendipity’ (1968) as epoch making. His fundamental message was that ‘innovative art doesn’t come from photography or computers, you have to dominate your tools as an artist, because material always resists … the algorithm is the material in digital art so you must manipulate them’. His call to ‘code’ (used as a verb) was followed by a plea to ‘decode’, adding, ‘these are beautiful images, but what is behind it? Decode it’. 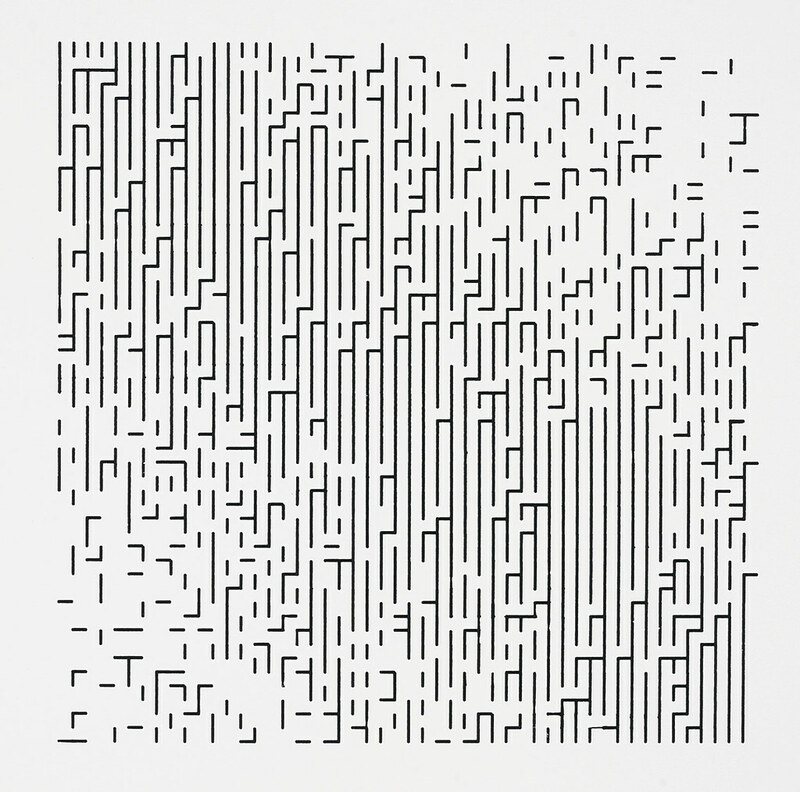 During the conference there was much talk of algorithms, as many of the speakers, the pioneers of computer art in attendance, were code-writing aficionados of generating programming. and this focus caused murmurs from the audience, which finally found voice during a Q&A session, when Ghislaine Boddington of Body Data Space pointed out that there are many other forms and formats of computer-enabled practice: performance and installation, film and animation, screen- and Web-based interactivity, robotics and 3D prototyping, plus applications within games and activism. 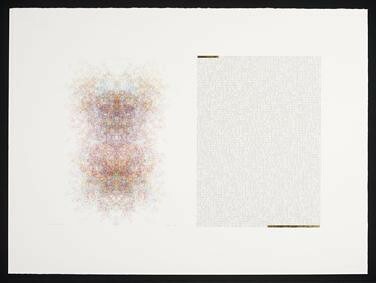 Below: Roman Verostko, Manchester Illuminated Universal Turing Machine #1, 1998, multi-pen plotter drawing with gold leaf. Given anonymously. © the artist. Photo: V&A Images. Roman Verostko (above) described his fascinating career. Starting out as a painter who combined ‘hand gesture and the careful placement of elements’, he aimed to translate the ‘art idea to guide a machine’. About code, he likened it to writing a score for drawing. Then he showed his work, simultaneously gestural and controlled, random and planned, created using multi-pen plotters. He also pointed to examples by his contemporaries in the ‘Digital Pioneers’ exhibition, curated by Douglas Dodds and Honor Beddard (who wrote 20-20 digital hindsight for the Eye blog). Day One focused on the ground-breakers who used computers as ‘a tool or medium from the 1950s to the 1970s’, and included an introduction by Dodds and Beddard to the newly acquired ‘National Collection of Computer-Generated Art and Design’, now housed at the V&A. Much of the early material on display was sourced from a sizeable donation from Patric Prince, art historian and curator of many SIGGRAPH exhibitions. Prince explained how she amassed her collection over several decades, initially sparked by an information void about this new art form that she was drawn to, because she liked ‘hard-edged’ art. She urged; ‘collect something because you love it, not because it’s going to become valuable’. Another art historian and collector, Anne Morgan Spalter, named this conflagration of conference and exhibition, ‘the beginning of the beginning of recognition for computers in the visual arts’. She elaborated; this is revolutionary, but it isn’t obvious just by looking; to properly judge computer art, you need to know how it is created. But, she explained, because of the divide between art and science (as recognised by C. P. Snow), it’s difficult for art’s audience to understand just how revolutionary. In response to a question, Spalter and Prince explained that this history not only needs writing, but these objects need conserving. As hardware and software – printers, platforms and entire computer languages – break down and become obsolete, this pioneering work needs protecting. A father and son team closed the first day. 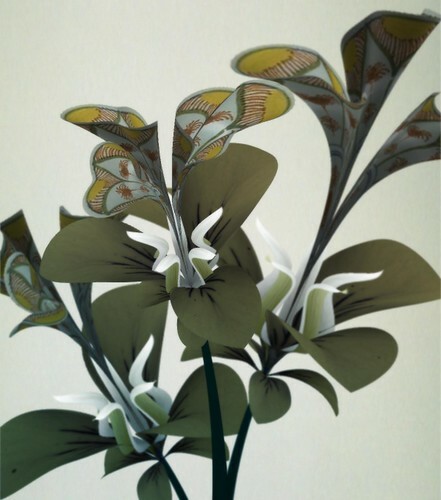 Paul Brown is featured in the ‘Digital Pioneers’ exhibition, while his son Daniel Brown provided ‘Decode’ with its frontispiece: ‘On Growth and Form’ is a continually blossoming, fantastical plant, mapped with patterns culled from the V&A’s collection. Paul Brown recounted how he worked in the 1970s with the Systems Group at the Slade School of Art. It may have been ignored by the art world, but he later discovered it was well known to research scientists, who recognised that artists were thinking outside the box, investigating computers in ways disallowed in science departments. The art and design divide was explored, with Daniel Brown only differentiating between art and design commissions when it comes to the fee scale. He offers his ‘Generative Aesthetic’ to both cultural and commercial clients. Eye, the international review of graphic design, is available from all good design bookshops and at the online Eye shop, where you can order subscriptions, single issues and classic collections of themed back issues.